Coral reefs are rapidly disappearing as carbon dioxide emissions, cyanide fishing, and eutrophication increase. Antithetically, the reef aquarium trade has experienced an increase of demand, although many aquarists have an absent understanding of seawater chemistry and coral physiology. In this study, the health of three hermatypic coral species (Caulastrea furcata,Pavona decussata, and Pocillopora damicornis) were analyzed via PAM fluorometry in hostile water conditions. 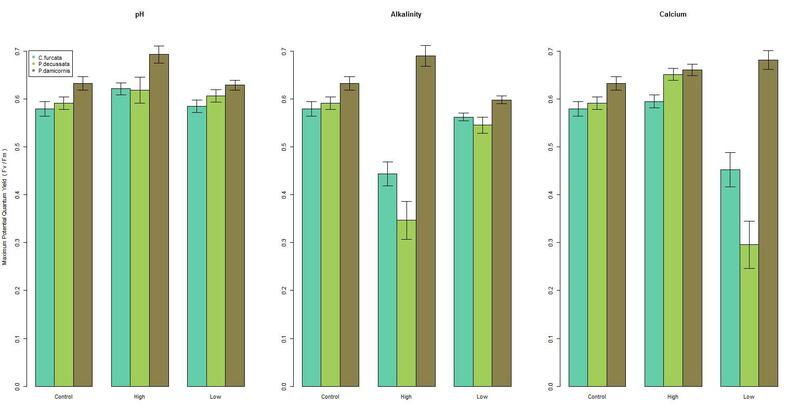 The calcium, alkalinity, and pH parameters were altered to match ocean acidification conditions and extreme low and high values that are reached due to improper dosing in an aquarium. Among the species examined, the maximum potential quantum yield (Fv/Fm) was significantly affected in hostile conditions. Specifically, a decline in health was observed in elevated alkalinity and in decreased calcium conditions. Furthermore, corals did not exhibit a negative response in Fv/Fm during low pH conditions. 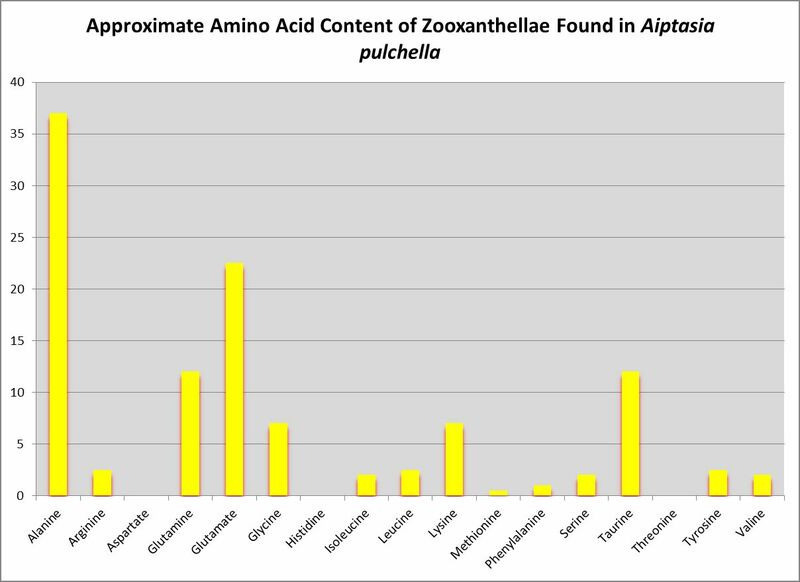 Zooxanthellae (Frudenthal, 1962) have a mutualistic symbiotic relationship with their hermatypic hosts; in return for habitat and nutrients, the zooxanthellae provide photochemically useable energy for the coral, thus accounting for a large portion of a coral’s net energy (Knowlton and Rohwer 2003 and Muscatine and Porter 1977). When water quality reaches unsuitable levels or temperatures become too high, the coral host discontinues the relationship by abandoning, or releasing, the zooxanthellae from its tissues (commonly known as “bleaching”). Coral bleaching has intensified throughout the years and has been the leading cause for the deaths of reefs; including the largest reef in the world, the Great Barrier Reef (Brown 1997 and McCowan et al. 2012). Bleaching has also been observed in aquaria much like a natural reef when water quality is poor or if the temperature is allowed to become suboptimal (Donowitz 2002). The biodiversity of coral reef habitats has driven an increased interest in tropical reef aquaria across the world (Jones et al. 1999). With advancing husbandry technology (e.g. wave makers, light structures, and mechanical filtration systems), reef aquaria have become easier to own and maintain. With this advancement of mechanical components, there has also been the advancement of water treatment. 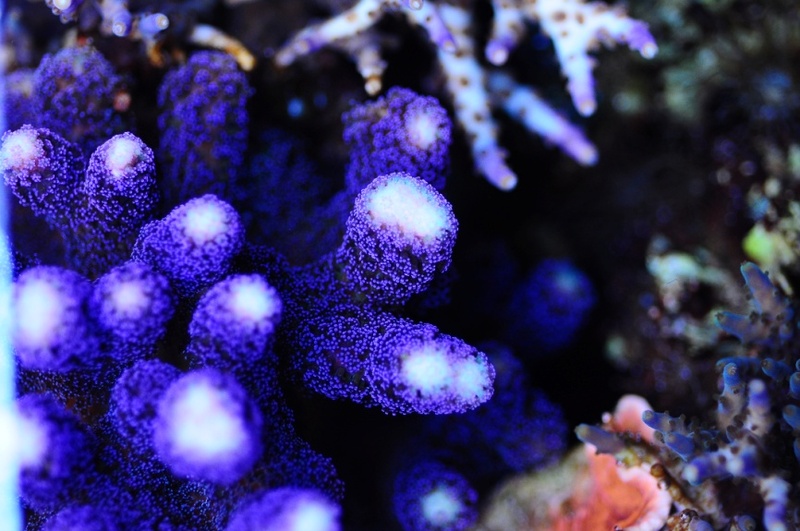 Aquarium supply companies, such as Seachem and Kent Marine, are bettering chemical treatment for optimal water quality specifically for coral health. The most common water quality parameters tested for and treated within a reef aquarium are alkalinity, calcium, and pH (Donowitz 2002). In order for corals to thrive, these parameters must be maintained at certain levels to create a balanced seawater solution. Natural seawater typically hasan alkalinity of 2.5 meq/L, a pH of 8.2, and a calcium of 410 ppm (Holmes-Farley 2005). In reef aquaria, these parameters are kept at higher levels; alkalinity=3.0-3.5 meq/L, pH=8.2-8.4, and calcium=420-450 ppm. The upkeep of these parameters is maintained via “dosing”, and are often divided into two parts: 1) a calcium chloride solution with added trace elements and 2) a bicarbonate and carbonate solution (alkalinity). When dosed improperly, these parameters can cause an increase of supersaturation, increasing the likelihood of CaCO3 precipitation; also known as “crashing the system” (Holmes-Farley 2005). The precipitation of CaCO3 can be detrimental to corals in a closed system such as a reef aquarium. However, a newer and less invasive method called PAM chlorophyll fluorometry has been favored and used since the early 1990’s (Jones et al 1999, Suwa et al. 2008, and Kramer et al. 2012). This method provides a measurement of maximum potential quantum yield (Fv/Fm), which is the variance of minimum and maximum fluorescence divided by the maximum fluorescence. In short, the fluorometer measures how efficiently the zooxanthellae convert light into photochemically usable energy for the coral (Jones et al 1999, Suwa et al. 2008, Kramer et al. 2012, McCowen et al. 2012, and Zartler 2012). This method can be applied in a home aquarium using the smaller and less expensive Heinz Walz Jr. PAM chlorophyll fluorometer (Zartler 2012). Fragments of the three hermatypic coral species, C. furcata, P. decussata, and P. damicornis, were clipped with bone cutters from their parent colonies that have been long established in a display tank in APU’s Aquarium Lab. Twenty-one fragments of each species were prepared (average length of 5 cm). Individual fragments were cut specifically by species: 2-3 polyps for each C. furcata, 1-2 “chips” for each P. decussata, and 2-3 branches for each P. damicornis (Figure 1). Once the corals were fragmented, each set of polyps, chips, and branches was placed on a 3 cm long ceramic plug and attached using cyanoacrylate adhesive. The fragged corals were then uniformly distributed and acclimated into seven different experimental tanks (three frags of each species per tank). All tanks were cultured 2 months prior to the time of acclimation. A 33% solution of Hydrochloric acid (HClaq) was used to reduce and maintain a low pH of 7.9 in the “Low pH” system. This was achieved by dosing 0.25 mL of HClaq every 10 minutes for ~2-3 hours, 3 times a week for one week prior to the fluorometry sampling dates. The “High pH” system was dosed with a 42 % solution of Limewater and maintained a high pH of 8.35-8.40. The dosing procedures were the same as those of the low pH. The “Low Alkalinity” system was kept at 1.5 meq/L by dosing 0.625 grams of Seachem’s Reef Builder calcium additive 4 times every 10 minutes, 1-3 times a week, given the previous week’s water quality results. A calcium additive, Seachem’s Reef Carbonate, was used to decrease alkalinity because of the negative relationship of the two parameters in a reef aquarium (Seachem Laboratories Inc 2004. In order to achieve and maintain a high alkalinity of 7.0 meq/L, 0.6 grams of Seachem’s Reef Carbonate alkalinity additive was dosed 4 times to the “High Alkalinity” system every 10 minutes, 3 times a week. The “Low Calcium” system was maintained at 350 ppm by dosing 0.6 grams of Seachem’s Reef Carbonate additive 4 times, every 10 minutes 1-3 times a week (based on the previous week’s water quality results). The “High Calcium” system was maintained between 500- 600 ppm, by dosing 0.625 grams of Seachem’s Reef Builder calcium additive, 4 times every 10 minutes, 3 times a week. Water quality was tested using Seachem’s Marine Basic test kit (Seachem Laboratories Inc., 2004), which measures the following parameters: pH, alkalinity (meq/L), nitrite and nitrate (mg/L), total (or ionized) and free ammonia (mg/L). Every parameter previously listed was assessed. Nitrate and nitrite generally peak when excess nutrients are added to a system which could cause stress among corals. It was important to maintain these at 0.00 mg/L during the entire duration of this experiment (Hughes et al. 2003). Additionally, ammonia is toxic in an aquarium and should also be kept at 0.00 mg/L (Seachem Laboratories Inc. 2004). Temperature was maintained at 26°C for all tanks. Salinities were also measured daily using an optical refractometer and all systems were maintained at a range of 33-34 ppt for the duration of the experiment. Fluorometry sampling followed the methods of Kramer et al. (2013). A Heinz Walz Jr-PAM (Pulse Amplitude Modulated) chlorophyll fluorometer with a 450 nm pulse applied through a 100 cm and 1.5 mm diameter fiber optic cable was used to derive maximum potential quantum yield. Measurements were taken less than 1mm from and parallel to the corals’ coenosarc (polyp- connecting tissue). PAM WinControl-3 software was used when applying saturating pulses. Multiple regression was used to determine the response of maximum potential quantum yield in relation to the changes of pH, alkalinity, and calcium with a species effect. Due to unexplained deaths, nine P. damicornis fragments were not considered in this analysis. All data was analyzed in the software program “R” (R Core Team 2012). Heinz Walz GmbH. (2007). Junior-PAM chlorophyll fluorometer operator’s guide. 6: 43-46.